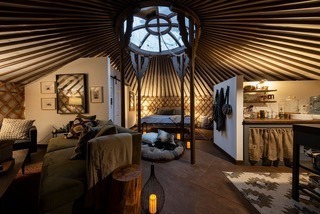 Yes, because the yurt can be adapted to almost any need and wish. Comfort is a very personal thing. For some, just having a roof and an insulated shelter is enough. For others, taking a warm shower, having a TV room, a gym, a bar and a hot-tub represents the absolute minimum requirements. It is really you who will define if a yurt is right for you. Most of our customers who have chosen a yurt as their primary dwelling have made similar discoveries during their transitions. Most agreed it was difficult to institute a level of organization in the beginning. Working with the thermodynamics of space would for most certainly take some time. Amongst this and other adjustments, the transition and fine tuning to a simpler life would soon prove to be extremely fulfilling, and thus creating time to enjoy what was really important to them. I have seen a couple with very limited practical skills (at least in the beginning:-), quit their well paid jobs, sell their home, and live remotely off grid in their yurt. 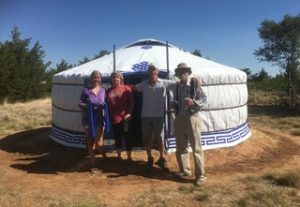 After three years they continue to be extremely happy and successful at living and loving their yurt lifestyle. 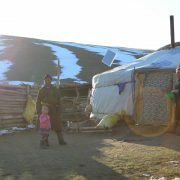 They have adapted to their own needs and the needs of their yurt. On the contrary, I have also experienced a customer who has left his highly paid job to dedicate himself to a simpler holistic lifestyle. After much research he was convinced our product was exactly what he was looking for. His dream to live in our hand made organic Mongolian Ger needed to include with absolute certainty all the amenities of home, including; plumbing, windows, high end flooring etc. Not that this can’t happen, but accommodations need to be made and understood. Leaks rarely happen. However, a small leak into this yurt would most certainly prove to be catastrophic, and now we have on our hands, a very distraught client. Our yurts are as close as you will get to a living, breathing dwelling. Left to their own vices they will merge with the earth once again. 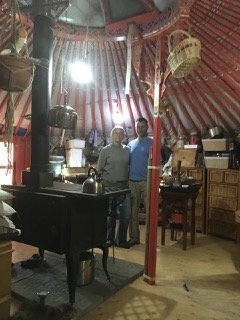 Understanding the amazing advantages and the real challenges of our hand crafted Mongolian yurts is crucial to success in your yurt. A Mongolian ger is perfect… and yet imperfect at the same time. If one is ready to adjust, modify and adapt, you will certainly be a happy groovy yurter. If instead you expect the perfection of an industry manufactured product, you may however face disappointment. My point is, that if you choose a Groovy yurt for your needs either to live in, for recreational purposes, special events, or term rentals it is important to understand the physical dwelling, the culture, the history, and the journey that brought it to your door. I can ensure you that understanding our yurts purpose, advantages and limitations will help you to succeed beyond what you ever would have dreamed imaginable. 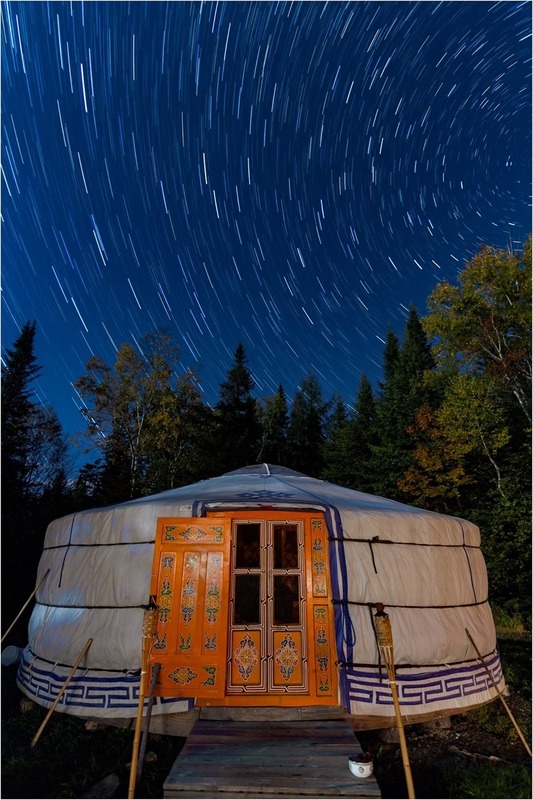 Touring North America, the most common question our yurting crew will get is : ‘’ What do people use the yurts for?’’. It’s an interesting question because of all of the possibilities! I’ve also been quite surprised over the years to see the ingenuity and creativity of certain people towards this goal that totally fit with the Mongolian mindset! 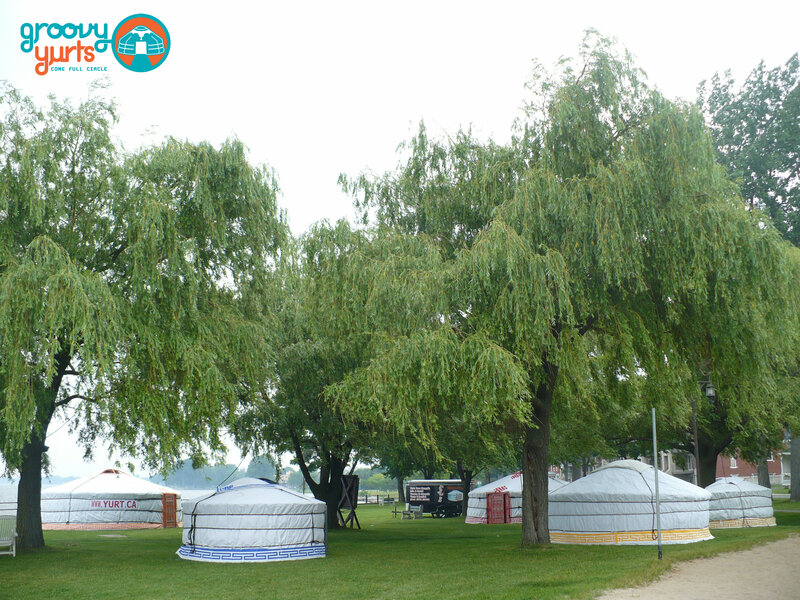 There are the very large yurts (30+ feet), they will commonly be used for big events whereas the smaller yurts will be used for more of the day to day activities. 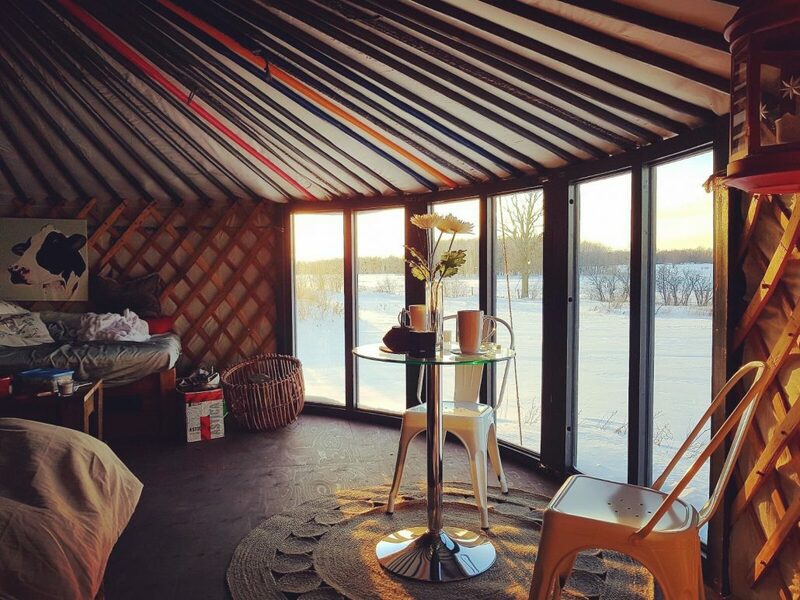 Many yurts are erected for renting or airbnb’ing, and yurts have proven they could fulfill this requirement with ease. In the same way, people needing an extra room to the house have been able to use yurts to give the in-laws or the frustrated teens some space of their own. Offering a space for a bed and a few amenities has been proven thousands of times over throughout north America. It brings the question, can the yurt be even more? What is one of the most encouraging trends happening is that increasingly, people are getting yurts to live in. 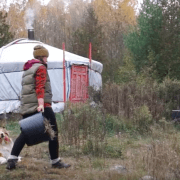 This is promising because it shows that people are starting to use the yurts as they are meant to be used, the Mongolian word for yurt, ‘’Ger’’, means home. It is heart warming to see people adapt to this way of thinking, challenging them to see what it is they really want in their home being less space-wasteful than a traditional home. And what these folks are doing simultaneously is proving that this dwelling truly is a 4 season efficient way of life. 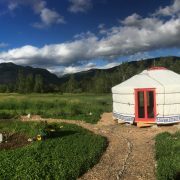 Whether you’re new to the world of yurts or your family has been building them for millenniums, you’re probably aware that there is not ONE single type of yurt. 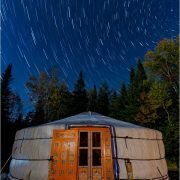 Yurts have been invented 3000 years ago in central Asia and have evolved a great deal since.